Dalaman will take you on a whirlwind journey from 3000 BC, introducing you to ancient Persian and Ottoman empires, before inviting you for an irresistible nightcap of rakı and börek. Dalaman is situated on the south-western coast of Turkey and is home to a population of about 27,000. Surrounding attractions include Sultaniye Thermal Spa and Kaunos Ancient City. Taste the robust flavours of Turkey and delve into ancient worlds with cheap flights to Dalaman. Dalaman is home to Dalaman International Airport (DLM), which is a 10-minute drive from the city centre. Central Asian, Middle Eastern and Balkan influences fuse together in dishes that are gastronomical masterpieces. 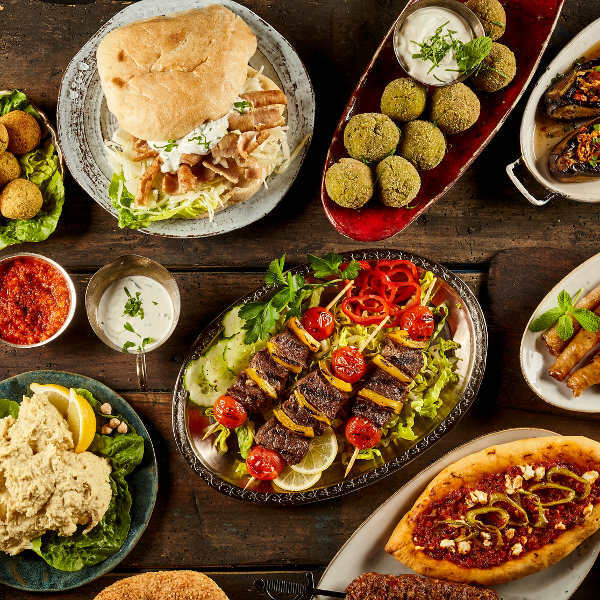 Get ready for an earth shattering journey into the deliciously colourful world of Turkish cuisine. Since its settlement in 3000 BC, the province of Muğla has offered sanctuary to Persians, Romans, Ottomans and Byzantines. Crumbling ruins and shabby city streets rustle with tales of fascinating ancient worlds. Dalaman is a gateway to the most beautiful beaches in Turkey. Be awed by the shimmering turquoise water and buttermilk sands of Kaputas and Oludeniz. Surreal Mediterranean utopias beckon seductively. Dalaman experiences a hot Mediterranean climate, with temperatures ranging from 35 degrees Celsius in summer to 5 degrees Celsius in winter. Dalaman is a city of wet winters and hot summers. Although the summer (June to August) months can see blistering temperatures settling over the city, it is generally considered the best time to visit for beach holidays. The average sea temperature during summer is 23 degrees Celsius. Autumn (September to November) and spring (March to May) are great times to visit if you want to experience everything the city has to offer without the summer crowds. Winter (December to February) offers warm temperatures, but experiences significant rainfall. For cheap flights to Dalaman the best months to visit are from December to February. Dalaman is a cultural utopia situated in the heart of the Muğla Province in Turkey. Idyllic beaches stretch along the coastlines, offering up warm turquoise waters and powdery sands, while the wild interior whispers of ancient civilisations and quivers with exotic wildlife. 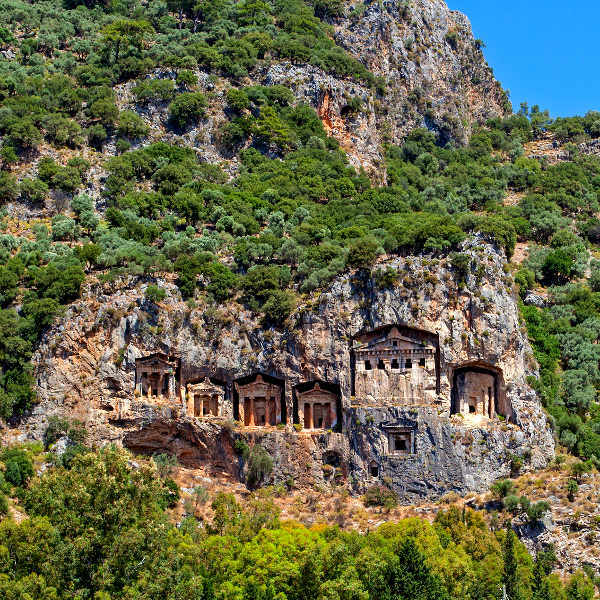 First settled by the Greeks in 3000 BC and then home to Persian, Helen, Athenian, Roman and Ottoman empires, Dalaman is a beguiling city seeped in historical significance. Follow the scent of dolma, su böreği and mercimek köftesi down curved cobble avenues; luxuriate in mud baths; explore traditional markets; or enjoy the delectably balmy weather on one of the pristine beaches. Dalaman will astound you with its landscapes, seduce you with its flavours and bewitch you with its easy going Turkish charm. Compare several airlines, and book your cheap flights to Dalaman online at Travelstart! Dalaman is considered safe. However, as it is with any major cities, crime does happen. It is advisable to take certain precautions and maintain vigilance as you would in any other unfamiliar city. Travel insurance to cover theft and medical expenses is highly recommended. Avoid public demonstrations and rallies. Avoid carrying large sums of cash and important documents, as pick-pocketing and bag snatching can happen. Be vigilant at bars and clubs. Avoid walking around alone at night (particularly women). Only use marked yellow taxis. When indulging in street food, ensure food is fresh and meat products have been cooked properly. Although water in Dalaman is generally safe to drink, bottled water is recommended. Avoid sun burn and heat stroke by using sunscreen with a high SPF and drinking plenty of water. Proof of yellow fever vaccination is required if you are travelling from a yellow fever endemic area. Immunisation against Hepatitis A & B, typhoid, rabies and malaria are recommended. Other routine and recommended vaccinations include MMR, diphtheria-tetanus-pertussis, varicella and polio.